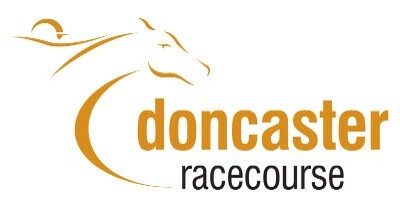 Doncaster Racecourse is pleased to announce today two new sponsors at the Ladbrokes St Leger Festival. The Eddie Stobart Group generously backs the £160,000 Group Two Park Stakes, while Neptune Investment Management is the new sponsor of the £100,000 Group Two Champagne Stakes (see separate release below). Both contests take place at Doncaster on Saturday, September 11 - Ladbrokes St Leger Day which is the final day of the four-day Ladbrokes St Leger Festival (September 8-11). First run in 1978, the Eddie Stobart Group Park Stakes is for three-year-olds and upwards over seven furlongs. Although currently a Group Two contest, there are no penalties for previous Group Two or Group One winners so the race is run with Group One conditions. Always one of the highlights of the Ladbrokes St Leger Festival, Duff landed the 2009 renewal of the Eddie Stobart Group Park Stakes by a neck from Cat Junior in a four-way blanket finish that saw 2007 and 2008 winner Arabian Gleam a head back in third, and Ouqba a further neck away in fourth. Edward Lynam’s charge, who was also runner-up to Arabian Gleam in the 2007 Eddie Stobart Group Park Stakes, has been in and out of form in his native Ireland this season, his best effort coming when finishing runner-up in the Group Three Minstrel Stakes on July 17, when conceding 12lb to the winner Air Chief Marshal. He was sixth of nine on his latest start in a six-furlong Group Three at the Curragh on August 8. Lynam revealed today: “Duff will definitely go to Doncaster for the Eddie Stobart Group Park Stakes. We like Doncaster, it is a good track and they have been great to us over there - last year’s win in the race was brilliant. “Duff’s form dipped this year, with the exception of that run at the Curragh, but we are freshening him up and, seeing as he ran his two career best races in the Eddie Stobart Group Park Stakes, we are hoping a return there can bring the old spark back into the horse. “He has been unlucky in Ireland this year. He has had to carry double penalties and he hasn’t had his ground - he needs proper Flat racing ground to be at his best. He is getting a bit older, like everybody, but he just might have one more kick in him and that is the race we are keeping him for. “We actually plan to send a few horses to the Ladbrokes St Leger Festival. Duff’s half-sister, Tweedy, is useful and she might take her chance in the seven-furlong Listed Japan Racing Association Sceptre Stakes (for fillies). A fantastic entry for the Eddie Stobart Group Park Stakes also includes the Henry Cecil-trained Group One victor Lord Shanakill, successful at the same distance in the Group Two Betfair Cup at Goodwood on July 27. The Brian Meehan-trained Cat Junior was runner-up that day, ahead of the Alain de Royer-Dupre-trained Dalghar in third and fourth-placed Main Aim, trained by Sir Michael Stoute. Royer-Dupre, based at Chantilly in France, has also engaged Group One Prix de la Foret hero Varenar. Richard Hannon could run triple Group One winner Paco Boy, a good third behind Makfi and Goldikova in the Group One Prix Jacques le Marois at Deauville on August 15. The Saeed bin Suroor-trained Shakespearean landed the Group Two Hungerford Stakes over seven furlongs on August 14, with Cat Junior again filling the runner-up berth. Sea Lord, trained by Mark Johnston, made it four wins on the bounce when landing the Group Three Sovereign Stakes by a nose from the Suroor-trained Poet’s Voice over a mile at Salisbury on August 12. Johnston could also saddle Awzaan who won the Group One Middle Park Stakes in an unbeaten two-year-old campaign, Group Three Jersey Stakes heroine Rainfall, who was a fine third to Music Show in the Group One Etihad Airways Falmouth Stakes at Newmarket’s July Festival, and St Mortiz, who saw off Palace Moon to win the Bunbury Cup at the same meeting. Premio Loco landed the Group Two Summer Mile at Ascot in July and was third behind Canford Cliffs and Rip Van Winkle in the Group One Sussex Stakes at Goodwood last time. Beethoven, winner of the Group One Darley Dewhurst Stakes over seven furlongs at Newmarket in October for trainer Aidan O’Brien, was fourth in the Sussex Stakes and clinched the Group Three Desmond Stakes on August 12. O’Brien may also run recent Group Three Minstrel Stakes winner Air Chief Marshal and Emperor Claudius, unbeaten in three starts this season. Stobart Group provides a number of multimodal services; road transport, rail freight and ports, distribution and warehousing and infrastructure services. Today, the Group operates over 1,850 trucks, 3,000 trailers as well a rail freight service and a port. It also operates around six million square feet of state-of-the-art storage facilities and a rail freight/container handling terminal. Stobart Group employs more than 5,000 people over 40 strategically located sites across the UK and Europe. Stobart Group counts many of the UK’s leading names amongst its customers including Tesco, Knauf Insulation, Knauf Drywall, Proctor & Gamble, Maersk, Danone Waters, Coca Cola Enterprises, Johnson & Johnson, Homebase, Nestlé, Purina Petcare, Britvic and Masterfoods. The company’s involvement with racing is not new - Stobart Group CEO Andrew Tinkler is a major racehorse owner, while the company sponsors trainer Tom Dascombe’s yard in Cheshire. 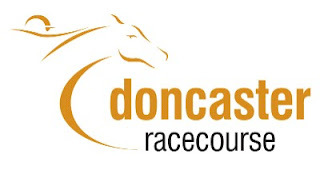 Labels: Doncaster Racecourse is pleased to announce today two new sponsors at the Ladbrokes St Leger Festival September 8th to 11th 2010.